We’re used to slight slumps in gaming. This hobby is defined by periods of feast or famine, it seems, and it’s just one of those things our gaming tummies have grown accustomed to over the years. But now spring has arrived, and we’ve got a slew of new titles to nom upon, across a variety of platforms. In particular, my Playstation 4 has been mostly unused for the past month, but now it prepares for a helping of InFamous: Second Son, set to arrive later this week. Titanfall likewise graces PC and Xbox One, and Dark Souls II comes out for whatever systems people who care about that game own (if you’re confused about my disdain, listen to the podcast). Continue reading GamerSushi Asks: Spring Releases? Posted on March 16, 2014 Author EddyCategories Adventure, Brawler, GamerSushi Asks, GamerSushi News, Industry News, PC, Playstation 4, Xbox OneTags dark souls ii, infamous second son, titanfall, walking dead, watch dogs, wolf among us8 Comments on GamerSushi Asks: Spring Releases? Pixel Count: Most Missed Game Types? We gripe quite a bit about the homogenization of games on GamerSushi. One of the most disappointing things about this past generation has been the way publishers and developers have shifted to providing game experiences that feel all too similar. We’ve been through the laundry list of complaints before: RPG mechanics married with Call of Duty style shooting, games that lead you down cut-scene filled tunnels, etc. However, in the last year or two, we’ve finally had a bit of a break from the attack of the video game clones. With creative titles like XCOM, Monaco, Papers Please, Journey, Walking Dead, Hotline Miami and more, it seems like we’re slipping out of that mid-generation funk of tired, boring military games. And as time goes on, I feel like I keep seeing more reasons to be excited about upcoming games, as people are finally turning the corner. Don’t get me wrong, the shooter will always be popular — but we’re finally seeing more of the variety that the generation started with. So, with that in mind, let’s have ourselves another edition of Pixel Count. This week, we’re talking about the game types we miss most, and that we hope to see more of in the near future. Start casting your votes and tell us why in the comments. Go! Which type of game do you miss most? Posted on May 21, 2013 May 21, 2013 Author EddyCategories GamerSushi News, GamerSushi Votes, Industry News, lists, PC, Playstation 3, XBox 360Tags flight, hotline miami, journey, shmup, walking dead2 Comments on Pixel Count: Most Missed Game Types? Welcome to the monthly Power Rankings, gents. If you’ll recall, we’ve changed the Power Ranking format in 2013 to reflect our current “What’s Hot” list, regardless of the year the game was released. These are the games we keep coming back to collectively, salivating as we play… OK, that last part might have been an exaggeration, although I hear Mitch does get very excited about necromorphs. Speaking of necromorphs, 2013 is already rolling with a handful of new games that have made their appearance on this month’s Power Rankings, including Dead Space 3 and Crysis 3. Next month’s list will be even wackier in terms of shake-ups, if Anthony’s recent Pixel Count is any indication. We’ve also been dipping our toes into some older ponds, including the zany urban warfare depicted in Saint’s Row 3, as well as the magepunky slums of Midgar in Final Fantasy 7. Time for Did You See This Wednesday! 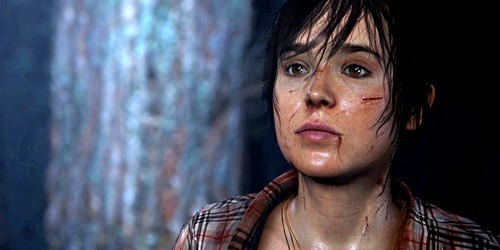 Never one to stray from a controversial comment, David Cage, creator of Heavy Rain and the upcoming Beyond: Two Souls for the PS3, caused quite a stir at the DICE summit with some of his remarks regarding the direction he feels the game industry needs to go if it wants to evolve as an art form. Calling it a “Peter Pan-complex”, Cage pointed out that the vast majority of games are made for teens and children and the industry should strive to tackle more mature themes and not just a mature shooter, but expand mechanics beyond jumping, punching and shooting. Basically: maturity doesn’t equal violence. I hope you’re all happy to know that we’re bringing the Power Rankings back this year, but in a slightly different format. Last year, the Power Rankings updated at a few key points to bring you our running list of the best 10 games of the year so far. In 2013, the Power Rankings will focus more on our hottest 10 games of the moment, despite what year it was released. Think of it as a “what’s trending” list amongst the GamerSushi staff. These are the games we just can’t get out of our heads, or out of our disc trays (or hard drives, as it were). Every year, it’s interesting to note the games that stick with you from the end of the previous year’s crazy gaming season. For me, the biggest surprises to come out of the Fall were games like Hotline Miami, but most especially Far Cry 3. While I had no interest in Far Cry 3 for the entire year, I couldn’t put the game down for the entire two weeks that I blazed through it, completing nearly all of the sidequests as well. If you had told me that Far Cry 3 would still be on my mind in 2013 a year ago, I would have snorted and called you a crazy person. Heck, I still might call you one today. 2012 was a surprisingly robust year for gaming. While we didn’t quite get the bombardment of sequels to huge franchises that we’ve come to expect, we got a year filled with unique titles. 2012 was filled with strategy games, stealth games, new IPs and a new bar for emotional engagement in our favorite medium. Even the sequels found a way to change the game. Suddenly, the industry gave us something we’ve been clambering for what has felt like years — some variety. And what a nice change of pace it’s been. So, without further ado, here is our list of the top 10 games of 2012. Enjoy, dudes. GamerSushi Asks: Your Summer Backlog? Hello, GamerSushi gents and ladies. You might not remember me, since I haven’t posted in a couple of weeks, but my name is Eddy. How do you do? Me, I’ve been a bit busy recently, which has left me with very little time to both write for the Sushi and play some games, but hopefully all of that is changing very soon. Part of the issue is that this is a slow time for gaming news, because frankly it’s just a slow time for games. Thankfully we all have our backlogs and a ridiculous Steam Summer Sale to keep us busy. Before the Fall arrives (which I’m considering to be the release date of Borderlands 2), what games do you think you’ll be tackling in the meantime? 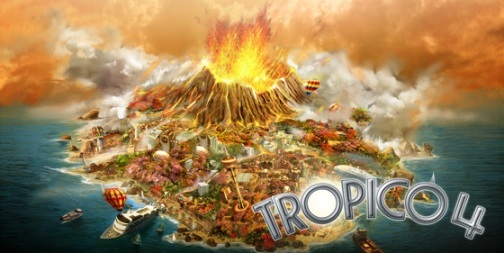 As for me, my plan of attack revolves around Walking Dead, Tropico 4, Civ 5, Day Z and more Diablo 3. I also finally plan on putting Skyrim to rest after many months of sitting on the expansive main quest. And who knows, maybe I’ll rent Spec Ops: The Line after all the great things I’ve heard. So what are you guys playing? Let us know your Summer backlog. Go! Posted on July 16, 2012 Author EddyCategories FPS, GamerSushi Asks, GamerSushi News, Piracy, RPG, StrategyTags spec ops the line, steam summer sale, tropico 4, walking dead19 Comments on GamerSushi Asks: Your Summer Backlog?